Start Now → Select a day & time to schedule your free phone consultation. I am here to serve hurting people, not to judge them. We represent divorce and child custody clients in Awendaw, Charleston, Daniel Island, Folly Beach, Goose Creek, Hanahan, Isle of Palms, James Island, Johns Island, Kiawah Island, Monck’s Corner, Mount Pleasant, North Charleston, Seabrook Island, Stono Ferry, Sullivan’s Island, Summerville, West Ashley, and other Lowcountry communities. Our three offices are conveniently located in: (1) downtown Charleston; (2) Mt. Pleasant; and (3) Summerville. Each of our offices has lots of nearby parking and is easy to find. Our downtown Charleston office is located at 49 Archdale, Suite 1C, which is across the street from Memminger Auditorium. Our Mount Pleasant office is located at 622 Johnnie Dodds Blvd. 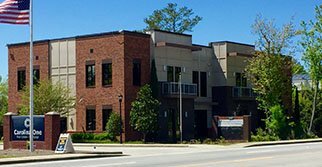 Our Summerville office is located at 1520 Old Trolley Road, next to the Carolina One building and across the street from CVS. Please pick the office location that is most convenient for you. Please call me or – better yet – schedule an appointment. I will listen closely and answer your questions directly. I will provide you with the peace of mind that can only come from having an experienced divorce lawyer protecting your rights and representing your best interests. We have three offices conveniently located throughout the Lowcountry. Please click the office most convenient to you for directions and more information.